These elections are turning into the most confusing, ugliest and counterproductive ones in Israel’s history. 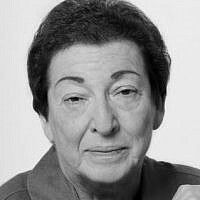 The country’s citizens, accustomed to a multiplicity of parties, worldviews and demands (although never to over 40 lists competing for a place in the Knesset), are now being inundated at a whirlwind pace by a medley of purposeful disinformation, salacious rumors, outright prevarications and personal innuendos packaged in abusive language and hateful discourse. How do they respond to this barrage? What do they absorb? And what mechanisms have they developed to navigate between the very weighty issues at stake and the mud-slinging that has taken over the electoral campaign? The answers to these questions have a direct impact both on the outcome of the elections and on their aftermath. Unless average Israeli citizens keep their heads above water in this bewildering, highly emotional and increasingly discomforting environment, they will wake up on April 10th not only to confront a country in tatters, but also without the means to restore it to a semblance of order. From the outset, given the stakes involved, it was clear that these elections would diverge from the rough and tumble spates familiar from the past. The country entered the electoral season highly divided socially, ideologically and normatively. This charged atmosphere has been compounded by mounting security, economic and external difficulties — exacerbated by the conscious arousal of discord on the basis of national origin, ethnic background, religious persuasion, gender and sexual orientation. Hardly a day goes by without accusations of disloyalty, infidelity and even treason directed at political rivals. These are sprinkled with heaps of misleading evidence, false information, blatant lies and, lately, by thinly-veiled hints of personal misconduct — sometimes of the most intimate sort — circulated through the conventional media, social networks, specially-created private studios, clips, Instagram, jingles, tweets, inanimate bots as well as by the traditional and still unusually effective use of the word of mouth. The handling of the story of the hacking of Benny Gantz’s cellphone is notable in this regard. So, too, is the exchange between Rotem Sela, the super-model reality TV hostess who dared to suggest that all citizens of Israel are equal, and incumbent Prime Minister Benjamin Netanyahu, who provoked further inter-group enmity by tweeting in return that there is no equality for all citizens in Israel, in what he described as “the nation-state of the Jewish people alone.” Most of the diatribes subsequently directed at the women-led pushback against this crass dismissal of Israel’s foundational principles (spearheaded by popular culture icons Gal Gadot, Yael Abekasis, and Shlomit Malka) do not suffer repetition on the printed page. Indeed, the intensity of such negative slurs appears to be increasing daily — and there are still three weeks left before Israelis go to the polls. A growing number of Israelis are seeking to survive this dim period by finding (frequently innovative) ways to opt out of the elections. Some have simply tuned out the verbal clutter: they boast that they do not watch the news, avoid talk shows, do not engage in political conversations and are unsure if they will even make the minimal effort required to cast a vote. In the process, they weaken the notion of an informed citizenry so central to vibrant democracies. Others are actively running away — planning vacations far from their polling stations or booking long weekends abroad in order to completely turn off the fetid electoral buzz. They are reinforcing a model of the absent citizen. Many engage in what has become a national pastime: constantly complaining about the level of the campaign and its decidedly vacuous nature. Still others exhibit a studied indifference as a method of coping with what they consider to be its distasteful tenor. Mercifully, only a handful exhibit such strong physical reactions to their political surroundings (nausea, hypertension, stomach spasms) that they have literally been ordered by their doctors to stay away from any exposure to its manifestations. Not everyone, however, is disengaging from the electoral contest. Several Israelis remain truly obsessed with every detail of the elections. They avidly follow the twists and turns of each event, incident or scandal. They studiously dissect polls and trace their shifting trends. They blog their comments incessantly, hoping that by disseminating them through cyberspace they will be able to sway voters, affect outcomes or alter the discourse. A significant number of Israelis are actually incensed with what is going on around them: they are signing petitions, mobilizing support and rallying around those who — in their minds — are being defamed by irresponsible contenders bent on gaining office at any cost (the number of demonstrations organized, statements circulated and ads published has risen exponentially). Whether these activists will ultimately have an influence on voter preferences remains to be seen; at least they are trying to stem what has become a putrid tide. Another, small but important, group is bent on fighting the deteriorating currents pervading the public sphere. They are deeply involved in differentiating between truth and falsehood: they fact check every speech and public pronouncement of diverse contestants, highlighting distortions and correcting errors (a glance at new monitoring sites — such as the Whistle Blower — indicate the painstaking work this entails). These citizens, in an ongoing effort to clean up debates in the public sphere, are also calling out those who are crossing the line between criticism and incitement and between disagreement and unbridled provocation. Their work is not necessarily popular — especially when it deals with the highly sensitive but absolutely vital question of who is benefiting from the virulent tone and murky content of the current campaign. Their revelations have shown that not everything that is happening during this election period can be attributed either to happenstance or to the emotional character of these times: some are the consequence of systematically planned initiatives designed to serve specific political interests. 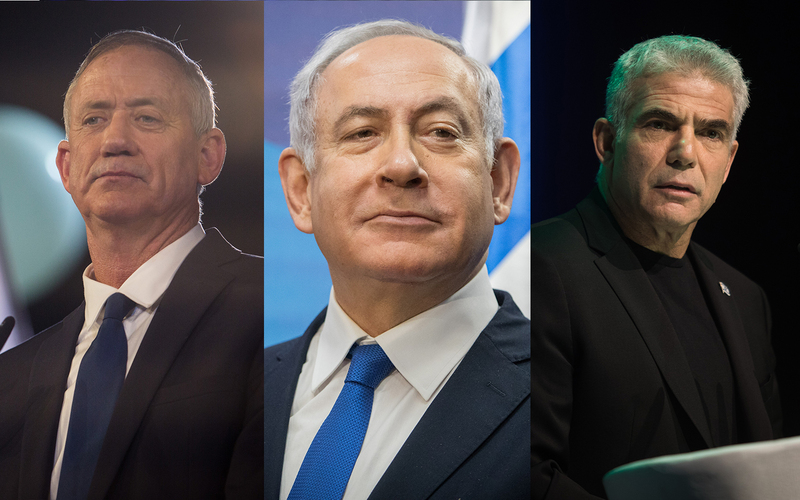 The very divergent methods now being employed by Israelis to cope with the current elections have several features in common. They reveal the broad range of reactions to the acerbic language and vapid substance of the campaign to date. They expose the confusion and widespread uncertainty which are now enveloping large portions of the voting public. And they inevitably foster even more unpredictability in what are already highly volatile political circumstances. This almost chaotic context is by no means politically neutral. It favors those parties and leaders representing political continuity — however unstable and disruptive their policies are proving to be. It inevitably acts as a serious brake on those yearning for significant change. Above all, it promises to leave the country in an even greater quandary than the one it confronts today. 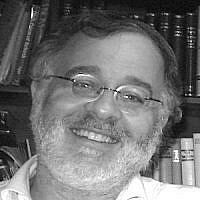 With its normative restraints virtually unfettered, its social solidarity unraveled and its discursive culture unbound, regardless of who wins the elections, Israel will be ill-equipped to reinstate a modicum of consensus around its core human values of equality and justice, reassert a measure of stability or design a constructive and inclusive course for the future. This unappealing prospect can be somewhat allayed if a pact is struck now to mute the invective and constrain the steady stream of lies and misinformation during the three remaining weeks until the elections. Where most political parties and leading candidates may be on the brink of losing it in the heat of the campaign, citizens can still insist on abiding by what until recently were the consensual rules of game. They have the power to do so: they now hold the winning card — the ballot.